Here is a good news for Airtel 4G internet users. 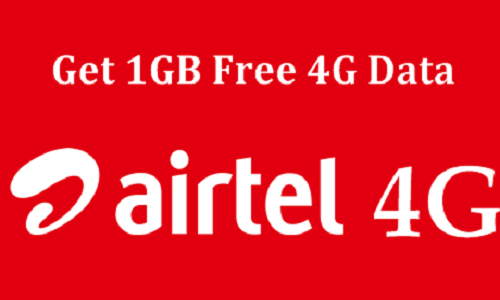 Airtel is offering free 1 GB 4G data for just dailing 52122. And this trick is working almost all states in India. This Airtel 4G internet trick is confirmed in West Bengal, Maharashtra, Andhra Pradesh, Tamilnadu, Karnataka, Kerala, Odisha & so on. I think it’s not valid for Airtel 3G or 2G internet users.